We recently took a long weekend to travel to London with our friends from the states. We had three full days in London and while they were packed, it was a good amount of time to see the major sights. And while it was absolutely freezing -- we got extremely lucky with no rain and had a wonderful time with our friends (and exploring London). Trevor and I have been to London a few other times, so we both have seen many of the major tourist sights. 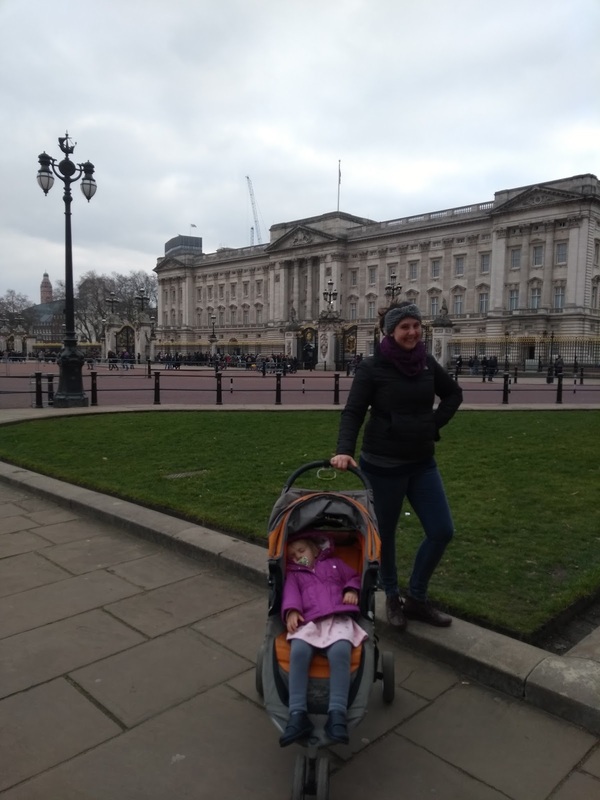 Our friends hadn't been and we did want to bring Serafina to some of the major sights, so we were happy to see some things again. 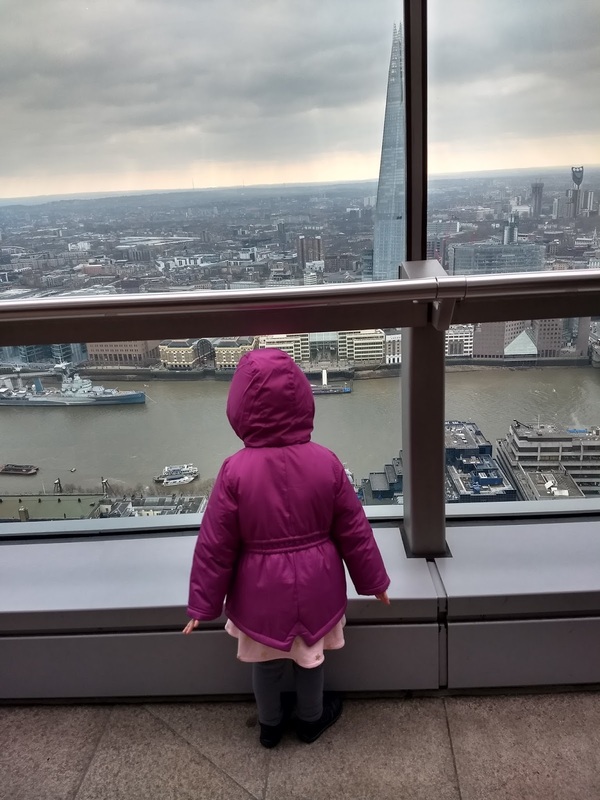 I will break down each place we went to and give tips for going with a toddler. 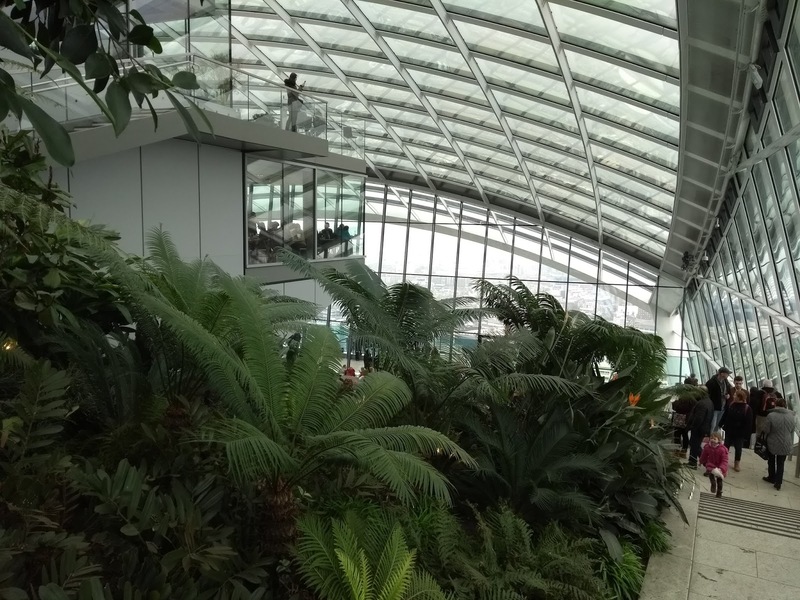 We flew into London Gatwick airport which was amazing -- seriously the most kid/family friendly airport I have ever been to. They had separate security lines just for families and the nicest security people I have ever met. They let moms stay with crying babies, played with (and entertained) impatient toddlers... The airport has strollers to use within the airport if you don't have yours, and play areas and amazing amounts of food (and kid menus). Seriously, best airport ever! The easiest and fastest way to get into the city from the airport is the Gatwick Express train -- and buy your tickets a head of time. The train will take you straight to Victoria Station in London making it easy to then take the tube to wherever you need to go. You will need your ticket to scan when entering AND exiting the train station, so make sure you keep your ticket handy the whole time! 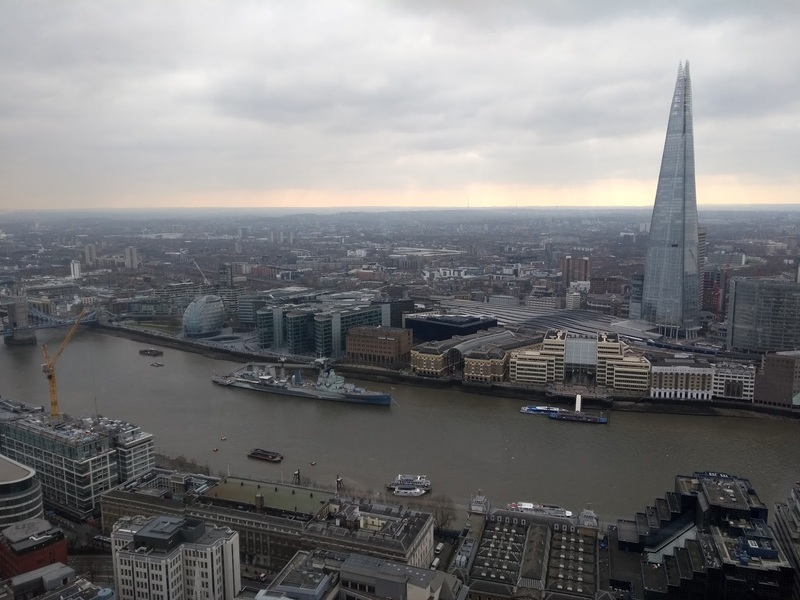 As for getting around -- we bought Oyster Cards (can use with both the tube/underground and the bus) which is significantly cheaper than buying day passes, even with the cost of the card. It is super easy to just get your card at an automated kiosk in any tube station and top up the card on the same machines. 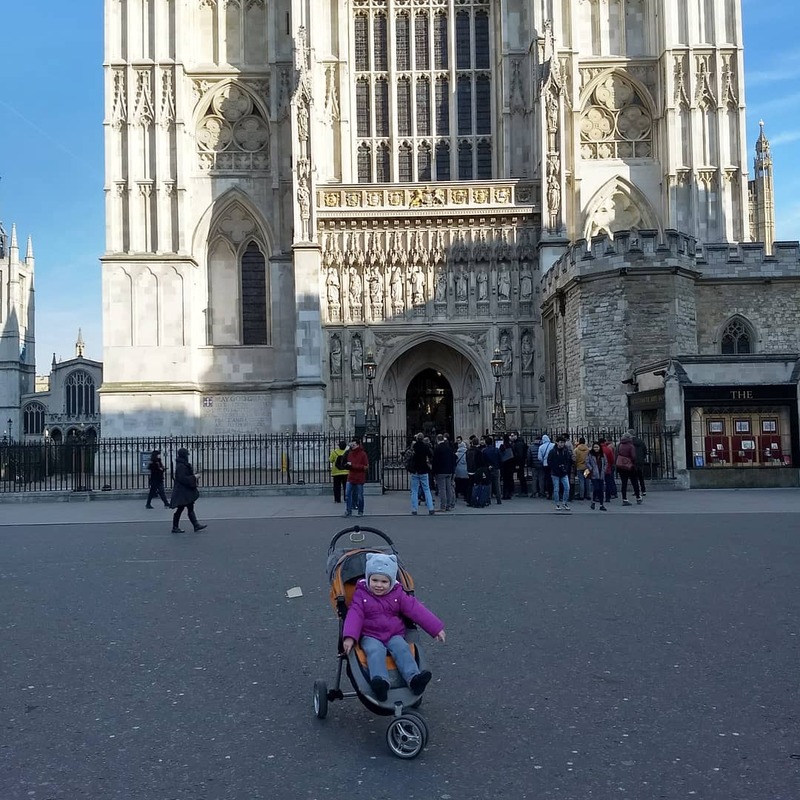 The tube with Serafina was a little tricky just since we happened to be riding it at rush hour a few times, but once again our city mini stroller was amazing and easy to use on the tube. Our friends had the city tour stroller and it was awesome -- folded super small and even fits in the overhead compartment of airplanes! We actually rode the bus a lot -- as the kids loved it and it was extremely easy (use your Oyster Cards) to just walk on with the strollers. For the tube -- you have to scan your Oyster Card upon entry and exit whereas with the bus, just upon entry. One of the employees on the Gatwick Express recommended the Route 11 bus and it was perfect -- great for sightseeing and also very useful for getting you across the city. I do recommend getting the Citymapper app for getting around London (great for maps and also bus/tube schedules), does require data or wifi though. 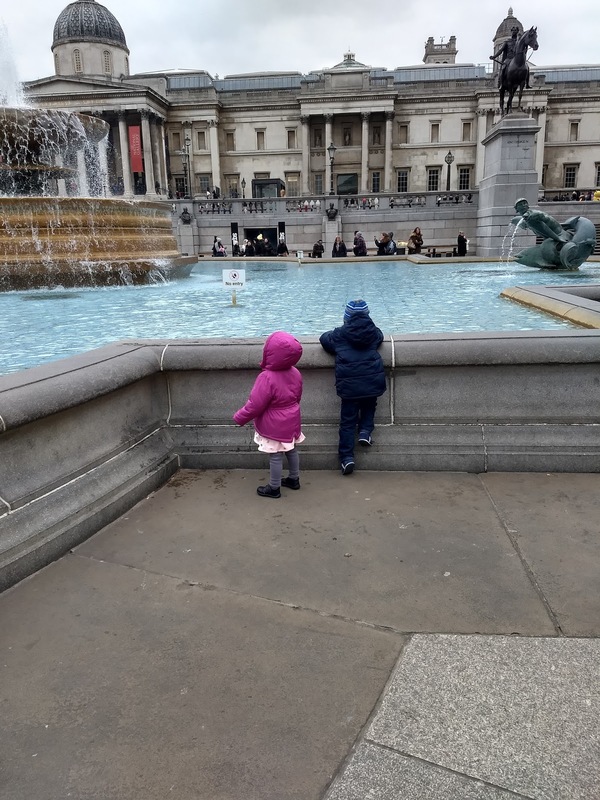 Overall, London was super kid friendly -- so many places had full on baby/family bathrooms, kids menus galore, special spots to park your stroller and more. Everyone we encountered was so friendly and willing to help, so accommodating. 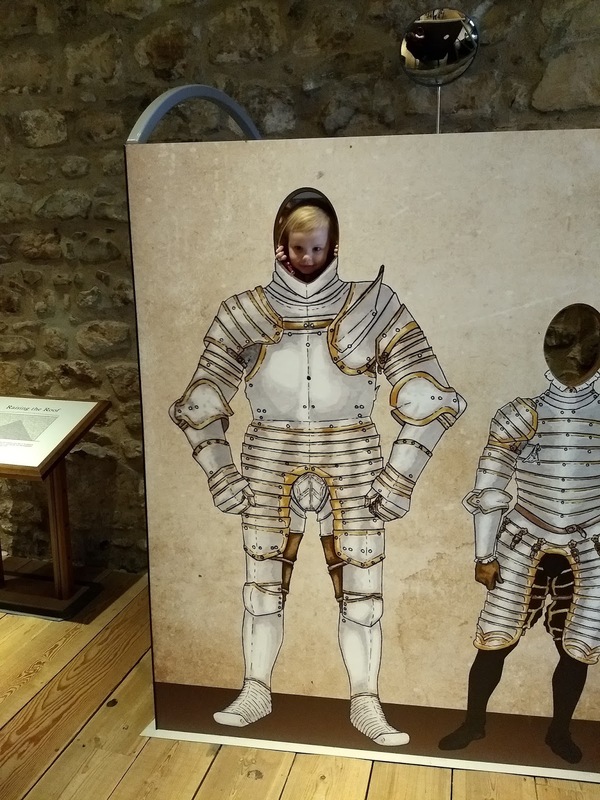 Every single museum had some sort of kid activity (most were a little too old for Serafina, but so amazing nonetheless). In my opinion, this is a must see on any trip to London -- it had been almost 10 years since Trevor and I had been, so we were happy to go again. This is one place where you most definitely want to buy tickets in advance, it will reduce the price and also allow you to cut the ticket line and just go through security (and go early in the morning as the lines can get quite long). The Tower is famous for many things -- where quite a few people met their deaths and also the Crown jewels. 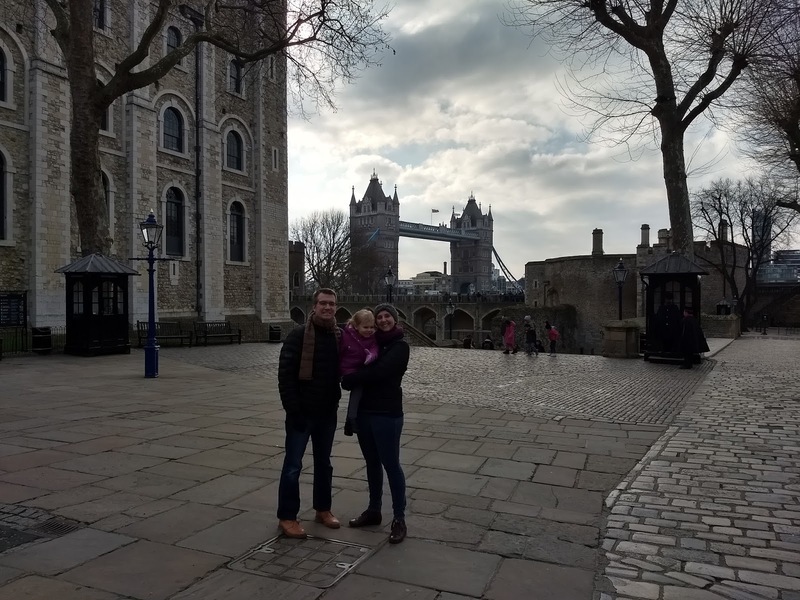 Our princess loving little lady could not get enough of the Crown jewels, we circled round and round on the moving walkway so many times. And then she just kept asking to go see the princess crowns over and over again (still asking over two weeks later)... 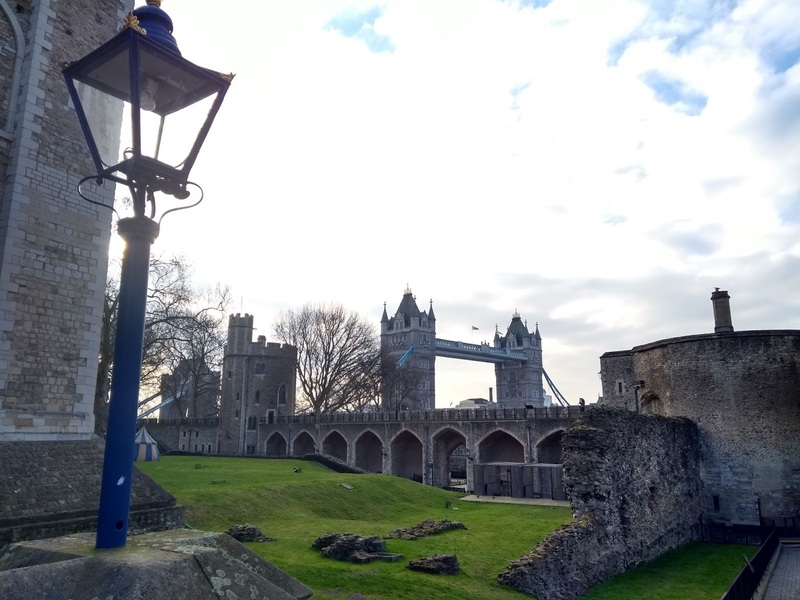 There is so much history and many things to see, so take your time at the Tower. There are place to lock up your strollers which I highly recommend as there are so many stairs, especially going into the White Tower. We did grab a quick snack here and it was okay -- but the kid's lunch box menu was amazing (for £6 you can get a decent (and good) kids meal, it can be take away too) -- highly highly recommend grabbing at least kids food here. I will note that there isn't much to eat around here, so if you are getting hungry/need food, just eat in the cafe! Also a new to us place -- and another place where you will want to buy your tickets online to save money (and time). I am not sure what I was expecting but I was slightly underwhelmed by St Paul's. 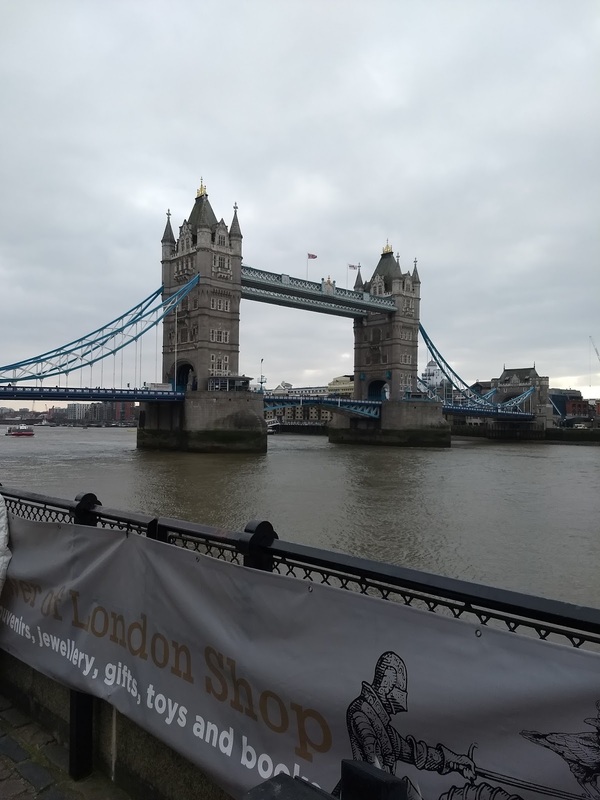 (Although I did manage to get some ancient dust in my eye at the Tower earlier in the day, so I was in pain and my eye was swelling up by the minute while we were here, so....). Serafina loves churches so she enjoyed walking around and seeing everything -- Trevor and I enjoyed the crypt. We didn't climb the dome as we had kids and those stairs are never kid/stroller friendly, but this is a famous dome so if you don't have kids (and aren't afraid of heights) -- you totally should do it! I do think there was a lift for the main church and the crypt, but we just carried the strollers and such up and down the stairs as needed. While the inside was gorgeous, I would still recommend Westminster Abbey over St Paul's. This is one of my most favorite museums I've been to -- so to me, this is a must see. And all major museums in London are free, this being one of them. 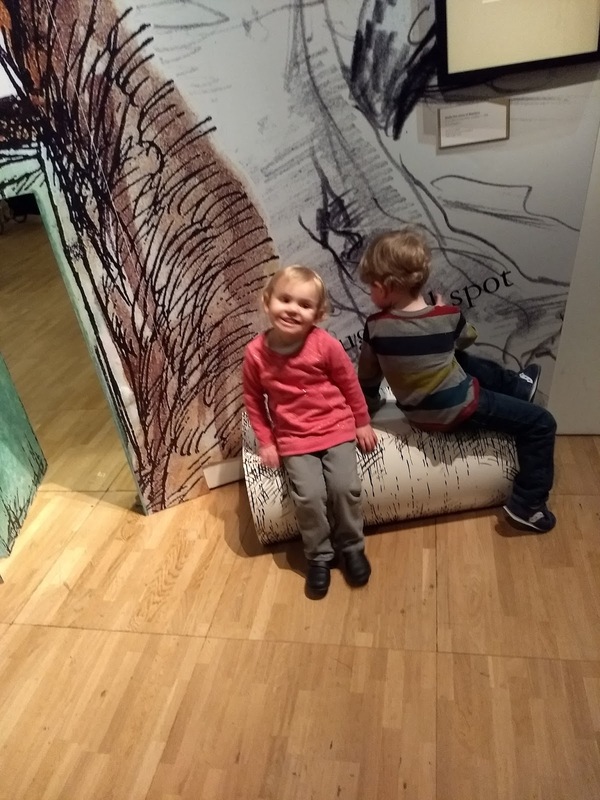 This museum focuses on art and design and it is amazing (my favorite part being the fashion exhibits), but we went this time around specifically for the Winnie-the-Pooh exhibit. We weren't able to get tickets ahead of time, but an amazing museum employee got us tickets for the exhibit. It was insanely crowded but so cool, and the kids loved it -- coloring, interactive river, small doors to walk through and even a slide! 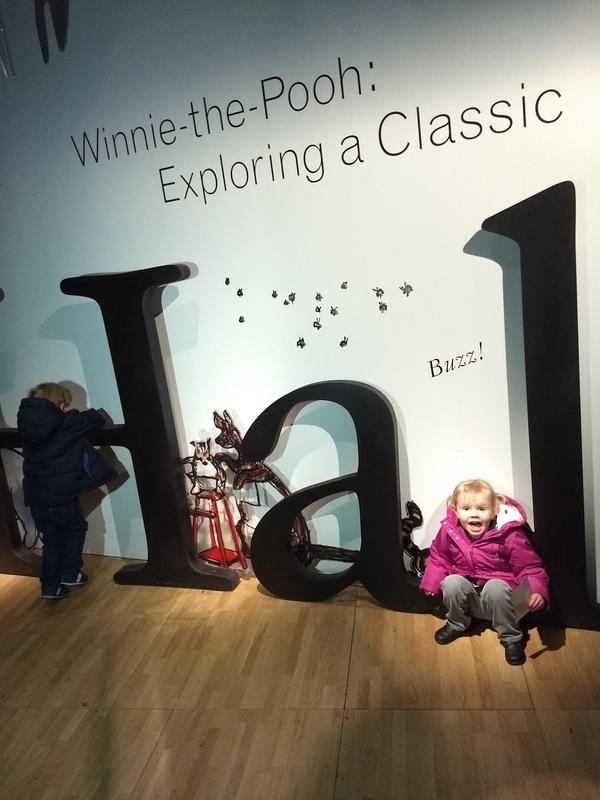 I would recommend checking your stroller as it was a little crazy with all the people, even inside the main museum. Another favorite museum and another free one! This whole museum is geared towards kids -- they even have a whole restaurant within the museum that is kid-friendly. I would also check your stroller as it gets crowded (especially on weekends). 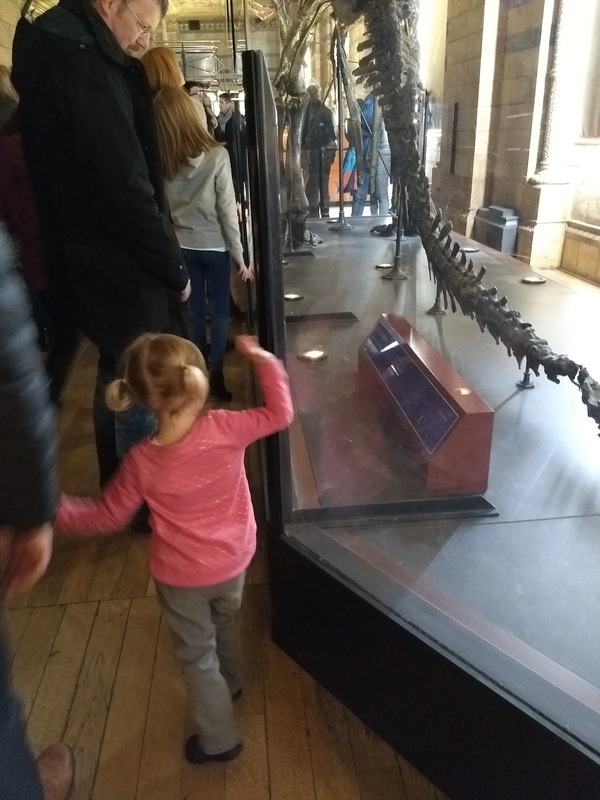 We went here to see all the dinosaurs, a current obsession of our little lady. 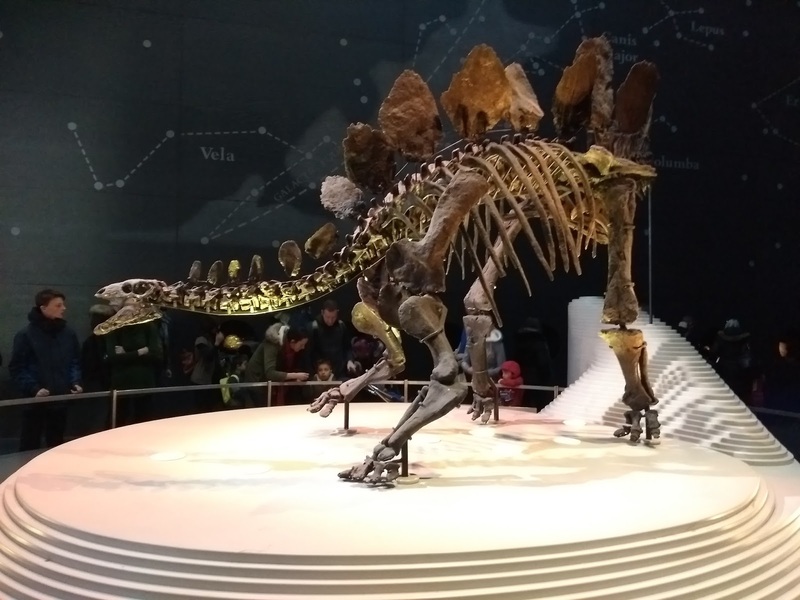 This museum has such an extensive (and permanent) exhibit of dinosaurs, including a life-size mechanical replica of a T-Rex. It was a little scary for our three year old, but she was mesmerized nonetheless. The line to get in was quite long, but went quickly (just be prepared to go through security when you get close to the front). This was easily one of my favorite things we did in London -- if you can, buy tickets ahead of time (we didn't, but went right at opening and easily got tickets). 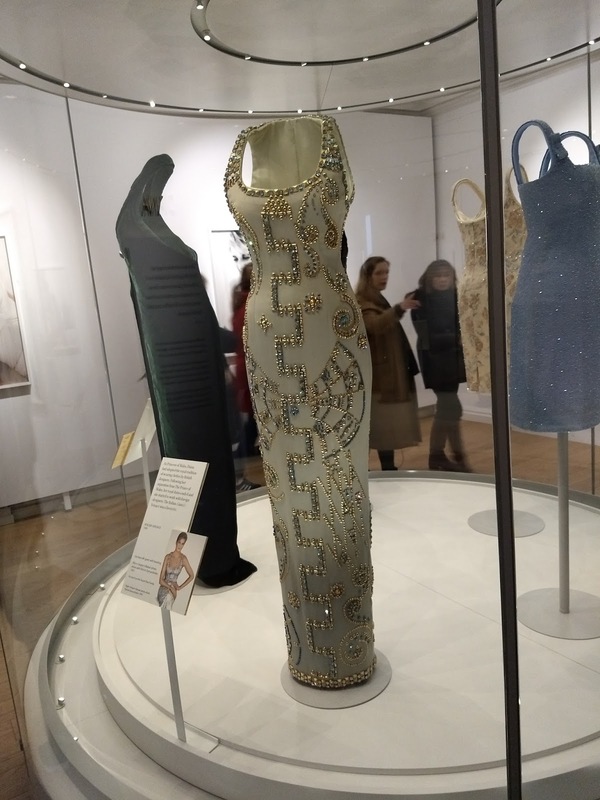 While part of Kensington Palace is lived in by current royals -- part is a museum showing how Queen Victoria (as well as William III and Mary II) lived and also houses the gorgeous dresses that were worn by Princess Diana. And again, so kid-friendly! They had a separate map/history brochure specifically for kids, helping them find various things throughout the museum. Because we kept our stroller with us, they led us through a few secret doors to skip some stairs. 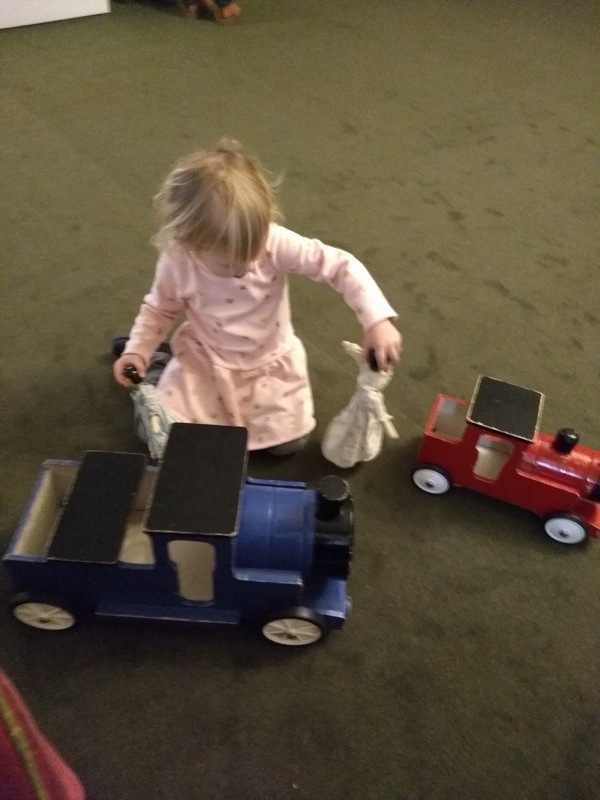 The Victoria apartments had a bin of toys from the era that kids were highly encouraged to play with -- allowing Serafina to be entertained while Trevor and I took turns going through the museum. 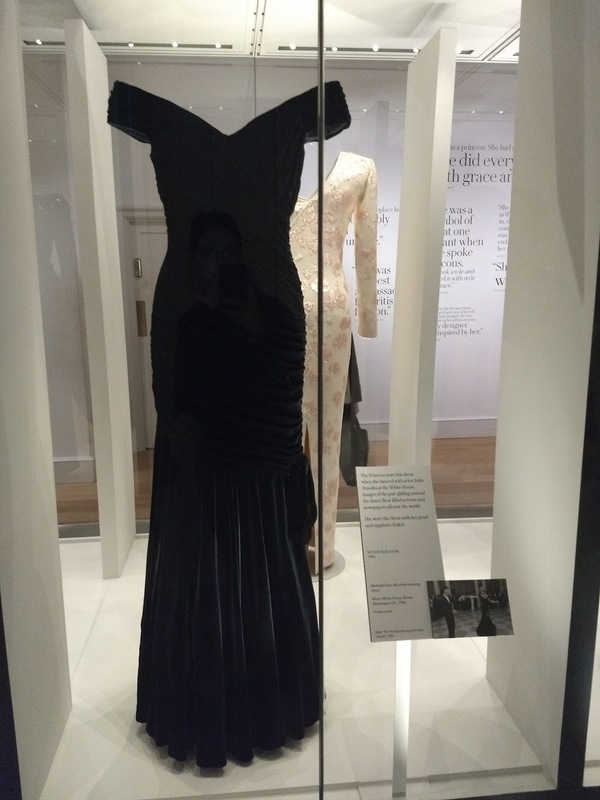 And then Diana's dresses -- wow, simply gorgeous. Within Kensington Gardens there is easily one of the best playgrounds we have ever encountered -- a very close second to the playground in Lyon. There was literally something for every age here, our personal favorite was the musical playground -- each activity/toy played music in some way. It was very fun. The playground has strict opening and closing times and does only let in a certain number of kids/families at a time. While it was later in the day (close to closing time) and absolutely freezing outside, the playground was packed! But we understood why -- it was awesome! If you are traveling with kids, you have to come here! We did walk past Buckingham Palace but sadly it is closed for tours in the winter. And we stopped in Trafalgar Square to see the statue of Nelson as well as the fountain. We also saw Parliment and Big Ben (but the clock tower is under major construction for a few more months) and Westminster Abbey (but didn't go in). 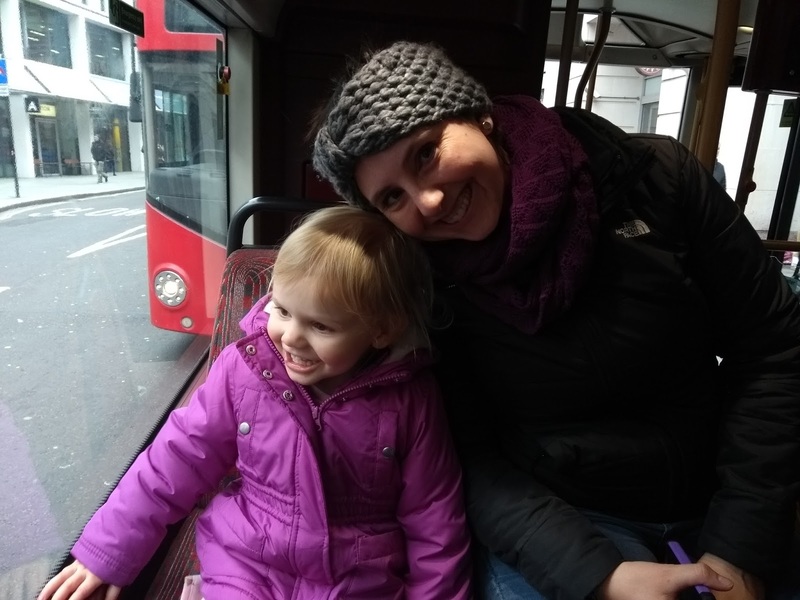 We took the bus through Picadilly and past other major touristy areas -- this was a great way to see things for not very much money and also stay warm! 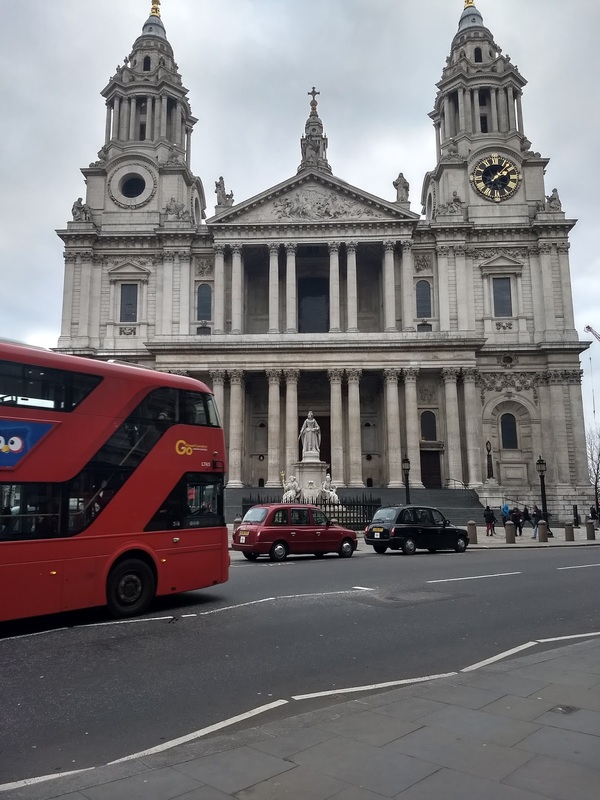 There is obviously tons more to see and do in London -- I would recommend adding Westminster Abbey and the British Museum to your list of must sees (both of which Trevor and I had done before so we opted not to do them again this trip). 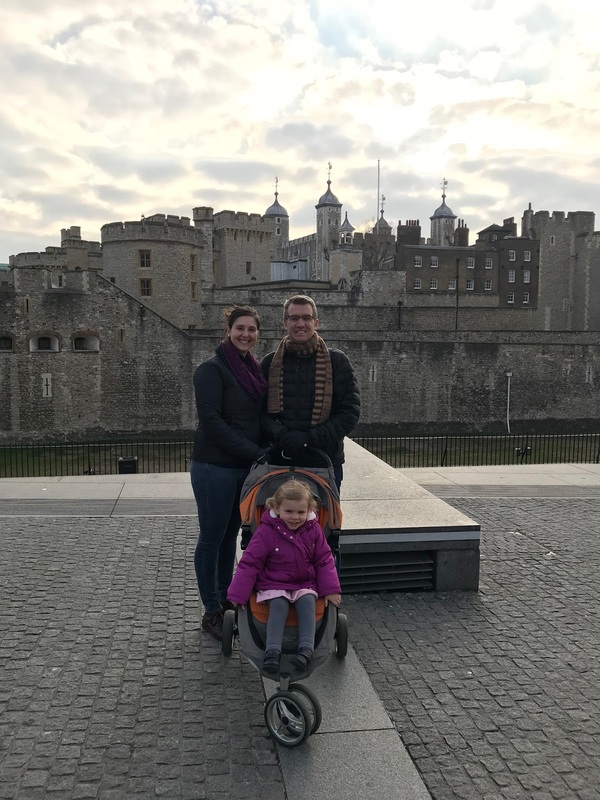 The British Museum is free (this blogger does a great highlights tour of the museum) and the Abbey is fairly expensive (so buy tickets ahead of time to save money). I would guess that both of these places are also kid-friendly just as everything else! 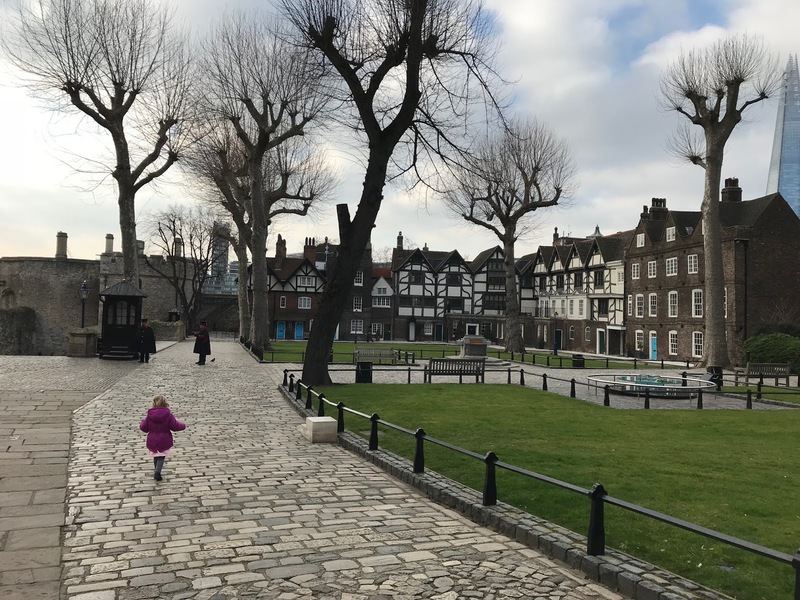 If you have extra time, I would also recommend a day trip to Greenwich -- amazing market, great places to eat and great museums. And now onto what to eat while in London! 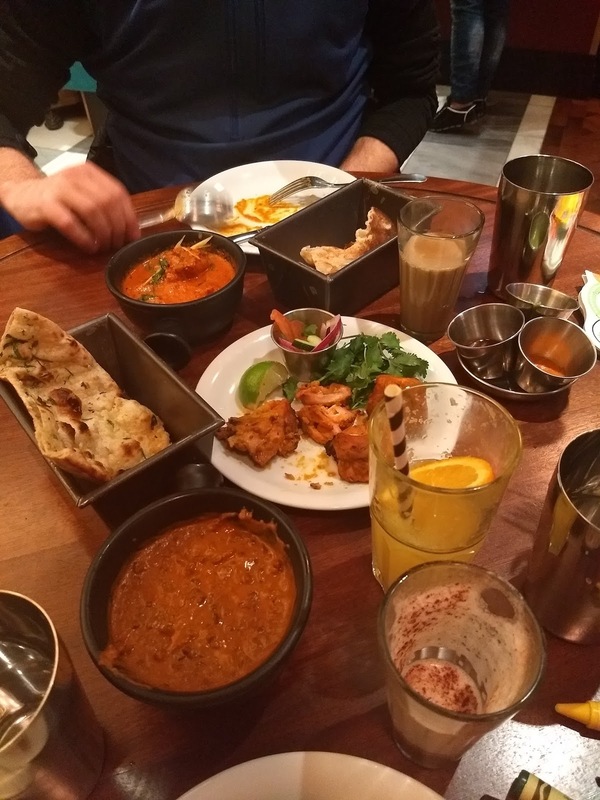 London used to be known for terrible food, but that sure has all changed -- London is such a wonderful place to eat and experience food from all over the world. And since southern Spain doesn't always have the greatest food, we were slightly excited to go and eat our way through London! This place was recommended to us by friends who had eaten there on their trip to London -- and again, many locations throughout the city. We had breakfast here and both had shakshukah and it was also so so good! Serafina actually ate their scrambled eggs -- wouldn't even share with us, so you know they were good too! Again, this is a popular place and many locations have lines out the door (especially the one by Exhibition Road where the V&A, Natual History and Science museums are located). A little out of the way (near Oxford Circus, Regent Street shopping) but Tongue & Brisket does salt beef (a little like corned beef) really well and their sandwiches were amazing. Their pickles were super good too -- highly recommend getting a few extra! This place was VERY out of the way -- like a 30 minute tube ride and then easily a 20 minute walk (in the freezing cold) but it was SO DANG good. And we actually think we ended up at the wrong place as there were two bagel shops right near each other -- but either way, it was SO good. Trevor got salt beef and this was what prompted us to go to Tongue & Brisket becuase we needed more salt beef in our lives! It was worth the trek, I just wish we had each gotten more than one bagel! Pizza Express is great for a quick pizza meal (many locations throughout London and also super kid friendly). And then easy, take away food (breakfast, especially) is always found at Pret (similiar to a Starbucks). London does take away food very well (Spain does not) so this is always a great way to eat some good food without having to sit down for a full meal, especially if you have active toddlers! We had a long list of places to try but couldn't quite fit every restuarant into our schedule -- so these places deserve honorable mention as they were recommended to me by people who I completely trust with their food choices. Amazing Greek food at The Real Greek -- which I am sad we couldn't get to as I love Greek food! Cuban food at Cubana (good take away options). We are both so bummed we didn't get to these bakeries -- but both Rinkoff Bakery and Dominique Ansel Bakery are supossed to be amazing (cronuts anyone? ).